2018 Maruti Suzuki Ertiga Unveiled: 2018 Maruti Suzuki Ertiga has been officially revealed at an event in Indonesia. The car seen here will be made in India with other Maruti cars and more than that, it features some class leading specifications for an MPV. 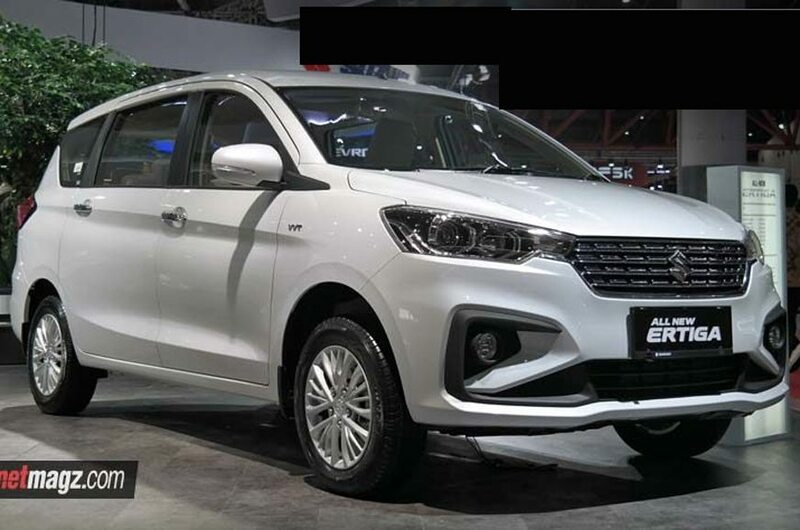 First of all, the design is completely different with sharper projector headlight, sporty lower bumper section and all new impressive grill design. Rear feels much upmarket with split lights that are equally spreading horizontally and vertically. The LED combination lamp gets light guides in an impressive sharp S design while alloy wheels used here are better than the present generation in terms of design and finish. Front and rear lights are made in such a way that Innova Crysta comes in mind for sure. 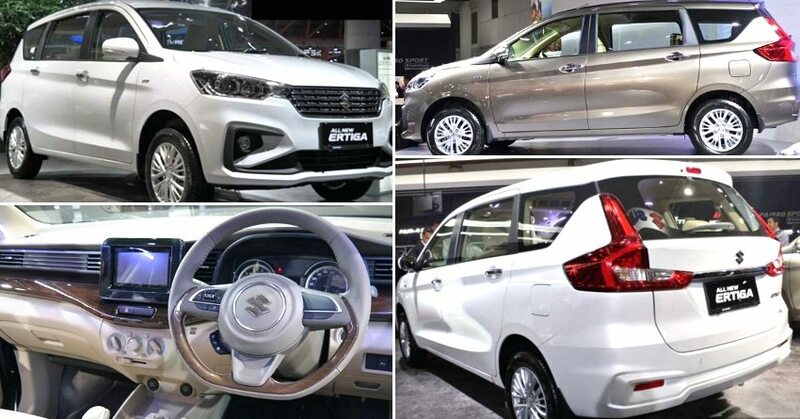 2018 Maruti Suzuki Ertiga measures 4395 mm in length, 1735 mm in width and 1690 mm in height. The wheelbase measures 2740 mm while ground clearance is quite healthy at 180mm. Folded third row seat brings 550 liters of luggage capacity. India spec car may use the existing diesel engine with 90 HP tune for better performance. List of features include push start button, smart entry, rear parking system, electric folding mirrors, fog lamps, R15 alloy wheels and seat height adjustment. Petrol engine on Maruti Ertiga may get replaced with a new 1462cc, 4-cylinder engine producing 104 HP and 138 Nm. 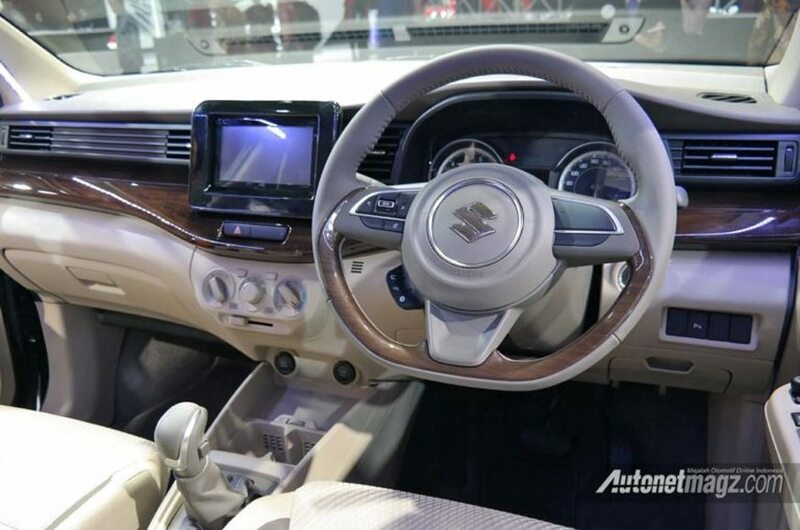 This will also help Ciaz facelift use this engine and get better placed among rivals than its present tune. They offer dual airbags, ABS, EBD and ISOFIX anchors as standard on new Ertiga. 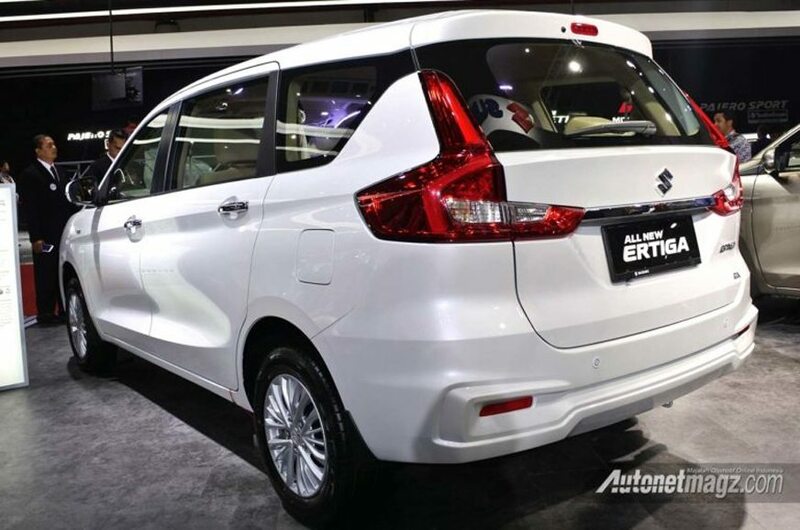 This urban MPV is 130 mm longer, 40 mm wider and 5 mm higher than the existing car. Maruti Suzuki will still keep front disc and rear drum setup to keep cost under check. 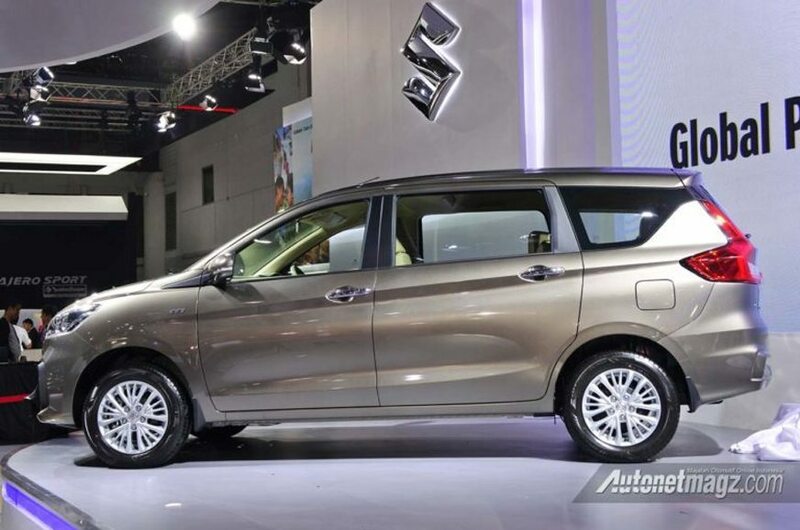 If offered in India, they will retain the 4-speed automatic gearbox on Ertiga petrol variant.